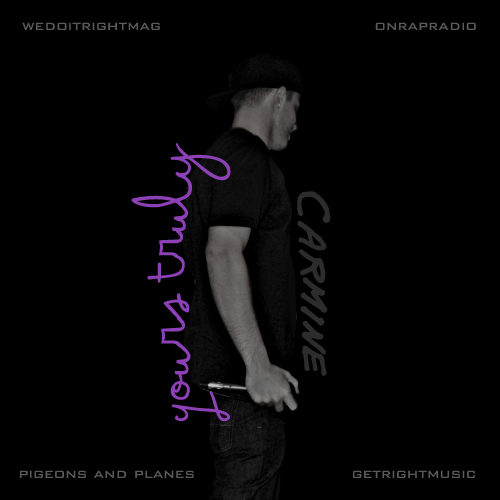 When Carmine came to me and asked me to get behind his mixtape and present Yours Truly, it only took a couple minutes of listening to songs like “Murdering Sheep” and “Yours Truly” before I said yes. The young Texas rapper shows some real versatility on this tape, making it really difficult to box him in with a style label or compare him to other emcees. On “Murdering Sleep” he goes over a Swollen Members-type beat spitting dark, nightmarish lyrics with wide-eyed intensity. On “Yours Truly” he slows things down and gives you a glimpse into the thoughts of a young artist trying to make it big. If he has a flaw, it’s that spits like he has platinum record hanging in living room even though most people are probably hearing his name for the first time. Then again, if you’re going to make it in the music industry, you have to believe with your whole heart in what you’re doing. Hate it or love it, you can’t deny that Carmine has that part down. 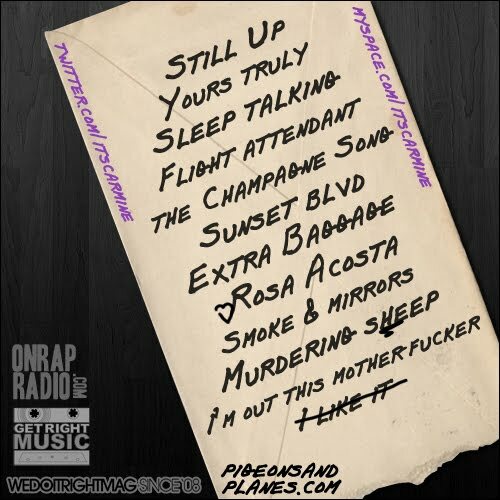 Check out “Sleep Talking” below and download the whole tape under that.